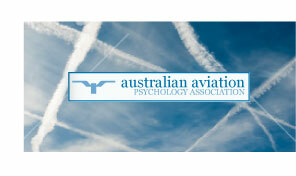 The Australian Aviation Psychology Association Inc (AAvPA) through its web site, www.aavpa.org, collects personal information about members. This information is for AAvPA's use only. AAvPA intends to create an online directory of members, available only to members, to make professional collaboration easier. If you do not wish your information to be displayed on this directory, you do not have to participate. Please advise the secretariat accordingly. AAvPA may also use this information to let members know about upcoming events which are endorsed, sponsored or run by AAvPA. Further, AAvPA may use the membership database to advise members of vacant positions within the industry, of other industry related events and, of topical industry information which the executive considers may be of use to some or all members. AAvPA Membership Fees: No refund is available for either the initial joining fee, nor ongoing membership fees, paid to the Association. AAvPA will publish specific cancellation and refund policy for each event it holds. As a general principle, cancellations of any registration for an AAvPA event received in writing by the Secretariat prior to 8 weeks prior to the event will attract a refund of 75% of all fees paid. Cancellations of any conference reservations received in writing by the Secretariat between 8 weeks and 4 weeks prior to the event will attract a refund of 50% of all fees paid. Regrettably, no other refunds can be given because of charges incurred by the Australian Aviation Psychology Association Inc on behalf of participants.